When building up a library in Modelica it is often handy to use aliases to clean up your code. Aliases to frequently used classes can help simplify the code and help its readability. 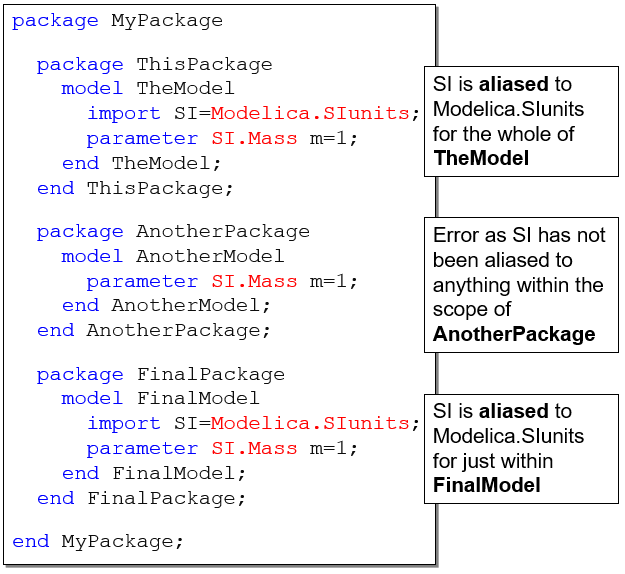 The Modelica import statement is how one creates aliases in Modelica. In large classes where many variables are defined, it can be helpful to place this comment at the beginning of the class. This allows the user to utilize the alias “SI” throughout the rest of the class rather than using the entire string Modelica.SIunits string. Here is an example of the use of this import statement along with an easy-to-make mistake. 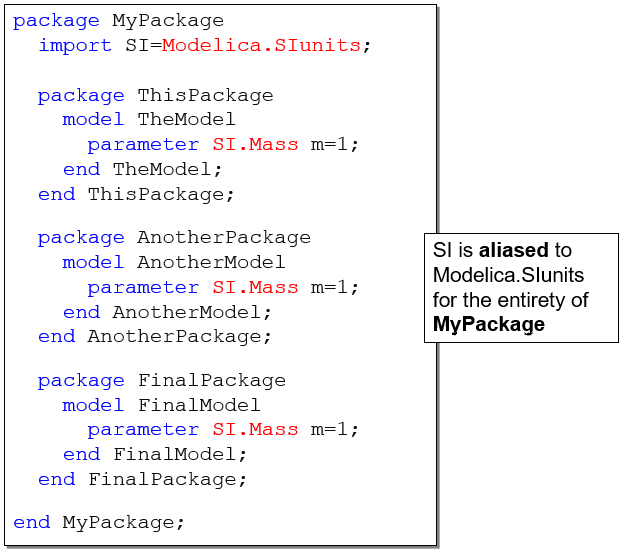 Using the import statement to create aliases to classes can help simplify your Modelica code and help its readability. Using import statements at the package level is the most effective implementation. These package level aliases will help to minimize the number of lines of code in your library. I hope this simple point will help you create more lean / easy-to-read Modelica libraries.